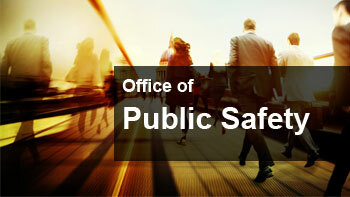 The Office of Public Safety leads our principal Area of Operations, conducting safety initiatives in each U.S. Congressional District. The research proposed encompasses developing a technologically advanced seismic assessment simulator using Project-Ergo, developed by the earthquake engineering community under the leadership of the University of Illinois at Urbana-Champaign. The proposed research will build upon the existing ERGO-CORE platform, a robust and comprehensive modeling tool for generating damage estimates and forecasting higher level impacts of earthquakes. This platform will provide a foundation for developing the Hybrid Model for Assessing Seismic Hazards (MASH), a cloud-based modular system that leverages the customizable ERGO-CORE architecture and allows users to ingest legacy data, run simulations and publish their findings to the community. Combining the capabilities of the ERGO-CORE and our public safety process engineering, the simulator will empower users to predict the consequences of catastrophic events like earthquakes and effectively illustrate its effects on roads, bridges, buildings, utilities and other infrastructure networks. In an effort to enhance forecasters’ ability to determine the overall impact of seismic hazards, the University of Illinois’ National Center for Supercomputing Applications and the Mid-America Earthquake Center has developed Project ERGO. This tool is easy to deploy and use and can be integrated with other systems and tailored to support forecasting for all hazards, natural and man-made. The Homeland Security Foundation of America (HSFA) Public Safety Office, with direct support from the Project ERGO team at the University of Illinois, will develop and deploy MASH domestically in a highly populated city that historically has been a source of prominent seismic activity. MASH will initially be deployed in Southern California. The program will be extended to other areas and expanded to assess all hazards as resources and funding permits. The city of Memphis, Tennessee has used ERGO to simulate and plan for a major seismic event on the New Madrid fault line. ERGO has been the earthquake impact assessment platform for the City of Istanbul, with technical support from Istanbul Technical University. ERGO is currently in use in Austria, Jamaica, Lebanon, New Zealand, South Korea, and Trinidad and other locales. Institutions from other countries (England, South Africa, China, Chile, Italy, Greece, Costa Rica, India, and Taiwan) have expressed interest in using ERGO as well. Earthquakes can have a catastrophic impact in urban areas. This program will help users understand how to better incorporate seismic information into city planning policy. Additionally, forecasters will be able to make reasonable observations and projections based on simulated post-quake scenarios to evaluate the current state of emergency management after a crisis, malfunctions in the infrastructure networks, economic consequences, the challenges of getting businesses operational again and the potential impact on the ability to deliver basic social services post-disaster. With an increased ability to evaluate “what-if” scenarios, emergency managers will be able to deploy improved mitigation strategies for seismic hazard risk-prevention and better prepare the city’s leadership and its populous for disaster, which will help save lives and property. Formerly the Campaign for Child Safety and Protection, Ready Roadmap USA services each congressional district through door-to-door visits and community Safety Day events. The goal is to help people understand the hazards in their local area and teach them how to mitigate them. Preparedness saves lives. An opportunity to participate in our National Public Safety Survey. Safety materials from HSFA, the FTC, FEMA and County Emergency Offices (where available)*. A technologically advanced network designed to simulate the behavior and tactics of terrorist groups. The implementation of such technology would result in additional insight and analysis capability for terrorist activity. This technology would also establish a basis for identifying links between organized crime, espionage, and terrorism. STAN builds upon existing Department of Justice (DOJ) National Institute of Justice (NIJ) infrastructure, such as, the Terrorism Database. These DOJ NIJ assets provide a foundation for developing the Strategic Terrorism Analysis Network (STAN), a computer based simulator with Artificial Intelligence and learning capabilities that enable the system to autonomously exhibit patterns of behavior and simulate the tactics of Anti-American terrorist groups. Project STAN received favorable reviews from a DOJ peer-review panel (see comments below). Combining the capabilities of hybrid neural network technology and advanced forecasting methodologies, the system will execute real-time simulations utilizing a social profile, historical inputs (key threats) and outputs (attack events). Criminal justice personnel will have the ability to interact with the system, providing real-time inputs that result in the system exhibiting patterns of behavior characteristic of terrorist organizations and developing strategies that exploit United States homeland vulnerabilities. The capabilities of this system can be leveraged and integrated into existing counterterrorism programs to significantly increase the effectiveness of investigations and preemptive counterterrorism initiatives. America has launched preemptive strikes to disable a number of terrorist organizations; however, the effectiveness of this strategy continues to be debated. To increase our potential to win the War on Terror, we must first neutralize the capabilities of the enemy by empowering law enforcement with a more realistic understanding of the nature of terrorism. Project STAN leverages the current criminal justice information infrastructure to enable new defensive strategies. Phase 1 of the U.S. Privacy Protection Initiative (USP-I) helps the public combat computer crimes by providing secure authentication technology (SA technology) to the small to medium-sized business (SMB) market at no cost, eliminating a major source of privacy violations for employees and consumers. Phase 2 (USP-II) will offer centralized public access to SA technology via a secure web-based Public Safety Portal in the BroadRiver Enterprise. This technology is currently in active / production status, ready to be distributed to the public. ID thieves and fraudsters target home users, small-to-medium businesses, and corporations. Most large corporations have the resources to implement a Safeguards and Security program for their IT infrastructure; however, the majority of small businesses and even some medium-sized businesses do not. Home users must rely on the effectiveness of businesses’ security models to protect their identity. Our SA technology removes public access for any system or application, especially web services. All other network access is denied, removing unauthorized access and eliminating potential risks of network attacks. It combines Client-end point policies with digital identity to eliminate Phishing and deny fraudulent access to network resources. Trust is established at the user level and not the system level. This eliminates the need to integrate services with new or existing processes, which reduces the costs and complexity of administration and support. This technology offers an end-to-end solution for secure access management, i.e. – Digital Certificates, Digital Signatures, Certificate Revocation Lists, Encryption and Decryption. “Awareness” is a quarterly publication that offers information, helpful hints and ideas on how to prepare for and protect against disaster, criminals, civil liberty violations, and other public safety concerns. “Awareness” is for the people by the people – patriots from all walks of life submit their articles for inclusion, working together for a safer America for future generations. This resource is currently available in electronic format. “Awareness” is distributed electronically at no cost to the public. Sign up now. USCD has three divisions with bases in the United States, including a primary Operations and Training center, a signal command center, a research and development center, and several support facilities, that work together to identify and defend against all hazards, natural or manmade, and threats of direct attacks against the US on its shores by land, sea or air when support is needed. The Security Operational Readiness Test (SORT) helps organizations identify areas of opportunity in their safeguards and security programs for physical security and network information assurance. The primary objective of the SORT is to minimize potential loss to identity theft, fraud espionage and corporate theft. The Safety Survey helps homeowners and businesses in commercial facilities to identify areas of opportunity in their safety configuration and better understand local hazards, .e.g., floods, fires and earthquakes. The primary objective of the Safety Survey is to help to ensure the proper survival resources are available on site, reducing the risk of loss of life and property and to validate the structure is adequately insured to help facilitate disaster recovery and reduce the government burden associated with recovery efforts. The objective is to perform a Security Operational Readiness Test (SORT) by completing an onsite Vulnerability Assessment and a Network Security and Information Assurance Survey (NSIAS). Activities associated with a SORT typically progress through three (3) phases – planning, deployment, and post deployment. Planning – Includes all preparations for the SORT (e.g., team selection, scope determination, SORT scheduling and notification, development of deployment plans, and coordination with the leadership team). Deployment – SORT deployment includes briefings and all the activities involving the collection and analysis of information in the categories and subcategories to be assessed during the Vulnerability Assessment. To ensure accuracy, results shall be validated by discussion and observations during the SORT. Post Deployment – Post-Deployment activities involve compiling findings and preparing a final survey report, as well as determining the status of corrective actions for all open and closed findings from the SORT. The Inspector(s) provide security related services to help ensure proper levels of protection consistent with industry standards to prevent unacceptable, adverse impact on the overall health of Customer’s IT infrastructure. The adequacy of Safeguards and Security (S&S) measures shall be validated through on-site Vulnerability Assessments (VA) conducted by the Inspector.